When I first heard the Big Feastival was coming to Canada, I knew immediately that I wanted to be part of it. 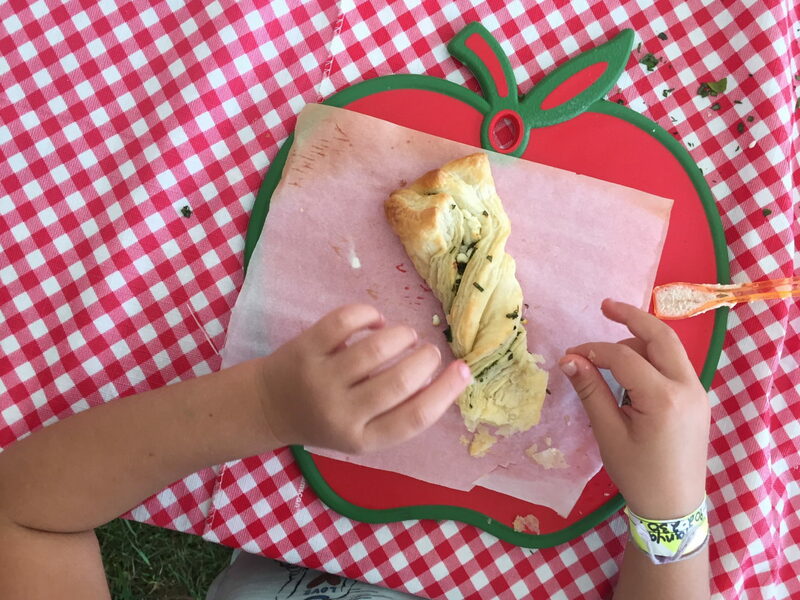 A food and music festival for the whole family (I wrote about it HERE) is exactly what we needed here in Toronto and the GTA. I was given the wonderful opportunity of teaching the Little Kitchen and Field to Fork classes. I’ve written about the youth cooking courses I teach HERE under the banner of The Happy Kitchen (Facebook Page), so this was perfect! On the first day the gates opened at 10am, I manned my station at the Little Kitchen and the lineups began. 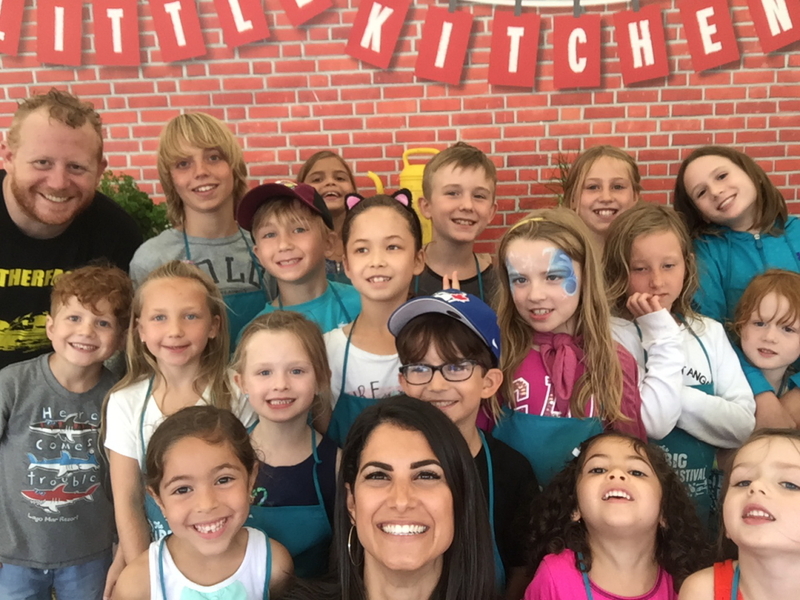 The kids were so motivated to cook with me and the celebrity chefs that the classes for the day were booked solid by 11am – it was such a great turnout! I was a little bit nervous about teaching 18 kids per session but I had an amazing team working with me and a chef to co-host with me during each session. The chefs that I was blessed to work with were: Claudia Bianchi & Justin Cournoyer of Actinolite Restaurant in Toronto, Alexandra Feswick & Ted Corrado of the Drake restaurants, Derek Dammann the chef behind Maison Publique in Montreal and Rob Gentile, the chef behind the Buca restaurants in Toronto. All of these chefs had children of their own so they were amazing teachers to the little chefs. The classes began with a walk over to our herb garden, where they learned about the various types of herbs and how they grow. They felt the herbs and got to taste them, and were assigned the task of picking their favourite herbs to take with them into the Little Kitchen to use as part of the recipe of the day. We were making Cheese and herb twists using phyllo pastry and the kids had to prep and chop their herbs to use with the recipe. My son, Dean even joined me in the Little Kitchen. He didn’t want any attention so he made sure I didn’t tell anyone I was his mom (I was okay with that, I guess). He was a pro, and I was secretly super proud of how great he did. The kids all helped each other and it was great to see the older kids help out the younger ones – a true team effort! 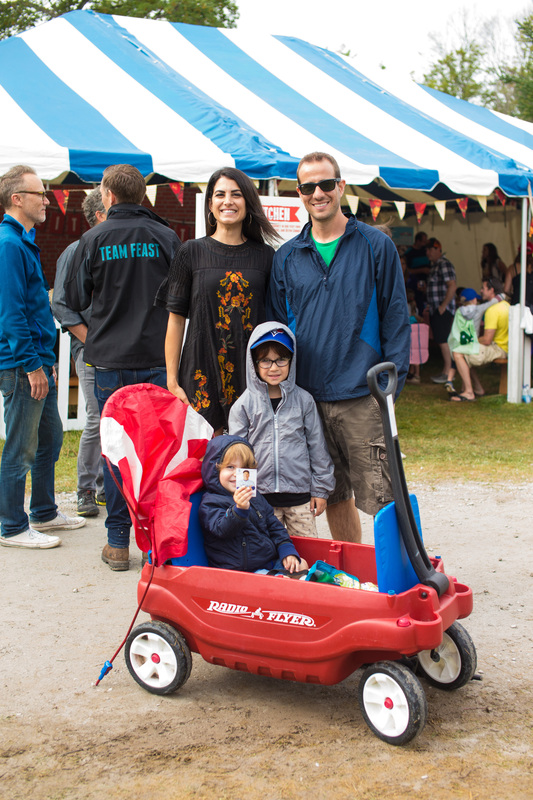 While I was teaching, my husband Dave and my boys, Dean and Dylan, got an opportunity to explore the Big Feastival. They met their cartoon faves, Paw Patrol and their favourite musical characters Splash N Boots. Dean made his own superhero cape and they both got to take part in the games and enjoy the food. My kids have been waiting months to meet Splash N Boots!!! The Little Kitchen closed at 6pm, and that is when some amazing musical acts (that were less kid-ish) began to take the stage. We grabbed some food and hung out in the VIP tent, which had a perfect view of the stage and lots of space to sit and lounge. 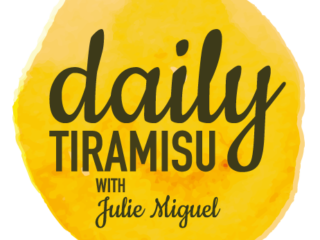 I chose to get my festival eats from the Cheese Cave hosted by my friend Afrim Pristine and featuring great wines from Adamo Estate Winery and bread from Ace Bakery. 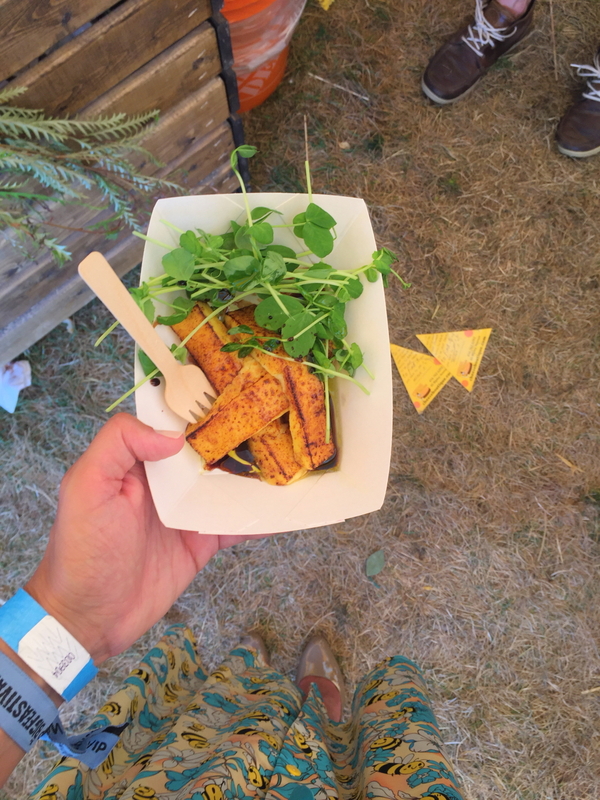 I loved that I had the option of gourmet food and drink in a festival setting. On the second day, I worked in a different area of the Big Feastival, the shops. There was a great area with local clothes, jewellery, gifts and artisanal food products where people could come and browse around. It was a nice little escape from the big crowds and music, if you needed it. I was at the Vaughan Mills tent promoting their urban beekeeping initiative, which I will be talking to you guys about on the blog very very soon. 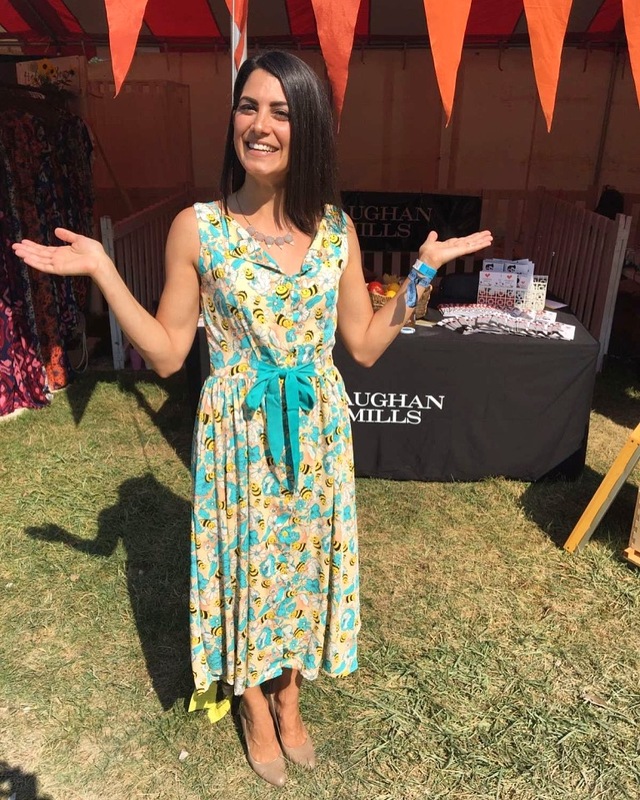 It was so great to speak with all the visitors (I didn’t really get a chance to do that on Saturday while teaching the kids) about what they liked at the Big Feastival and how they heard about it. There seemed to be a consensus of people who loved the music festival atmosphere and how it came together with food and family fun. 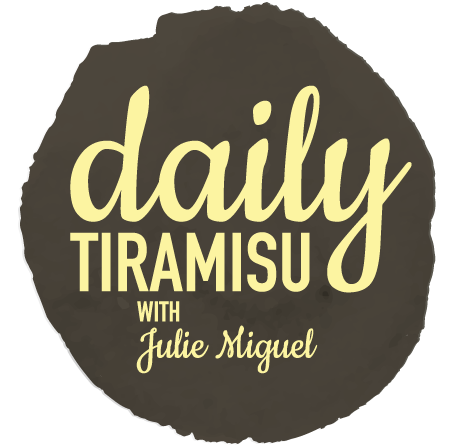 I love being part of this community of foodies who love supporting local food purveyors, who enjoy great food and who love to learn from the top culinary experts in the field. One aspect of the Big Feastival that we did miss out on was the camping. My boys are a bit young for this so I rented a beautiful cottage about 10 minutes away from Burl’s Creek in Oro-Medonte. We spent the entire week there ahead of the Big Feastival enjoying beautiful Lake Simcoe. It was a good idea to relax before the insanely crazy fun weekend we had ahead! I had a ton of messages from people telling me how much they loved the Big Feastival or from people who couldn’t make it this year but have already made a note to buy tickets for next year. It is definitely the family festival of the summer that you don’t want to miss! Don’t worry, I’ll keep you guys posted about next year’s dates so you won’t miss out again. 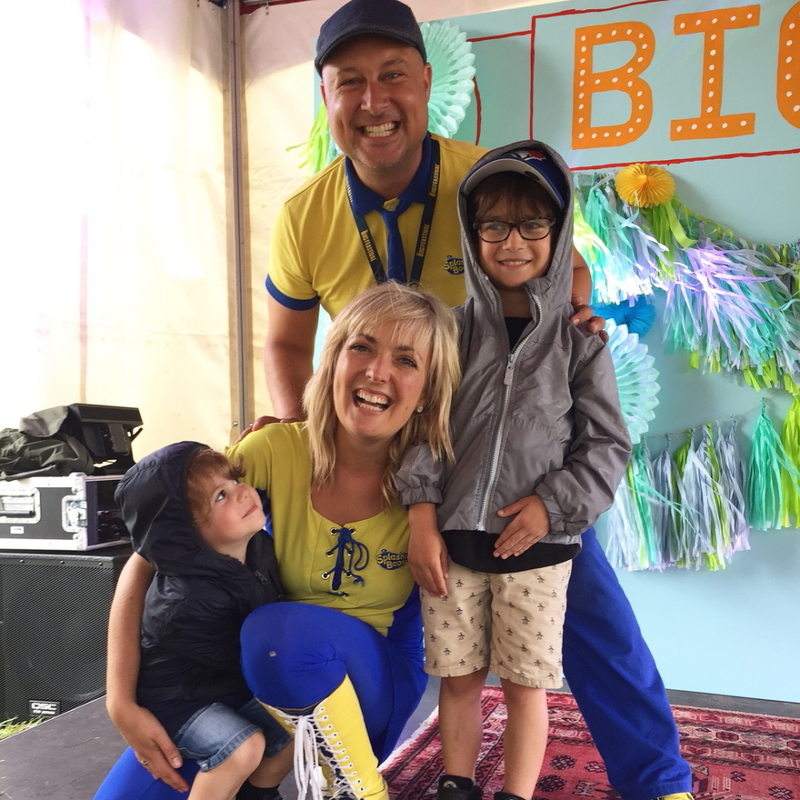 Thank you to my friends at the Big Feastival for giving me the opportunity to play such a gratifying role in this year’s festival and for letting me bring my whole family with me – it was definitely a memorable weekend. Preheat your oven to 400 degrees and put the oven rack in the middle of the oven. Line a rimmed baking sheet with parchment paper. On a large cutting board, brush both sides of the puff pastry with butter. On one side, sprinkle the chopped herbs and goat cheese evenly. Using a pizza cutter, cut the sheet of puff pastry into about 12 strips that are about 1.5 inches in width. To twist the sticks, fold the cut strip lengthwise (end to end) so the herb and cheese are on the inside. Then, grab both ends of strip and lightly stretch and twist it. Lay all twists in an even layer on the baking sheet. Bake for about 15 minutes, then flip the twist and bake the other side for another 5 minutes, or until they are golden brown. Allow to cool for at about 5 minutes before serving. These twists will keep in an airtight container for about 3 days.